Golf carts are cool. 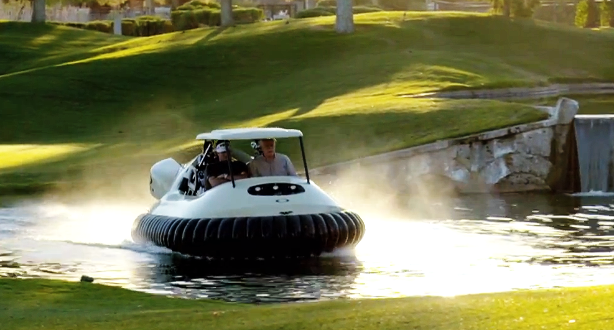 Hovercrafts are cooler… Golfer Bubba Watson recently partnered with Oakley to make this hovercraft with the look and feel of a golf cart. It can cross sand traps and water hazards with ease… and it doesn’t tear up grass! Check some video below.